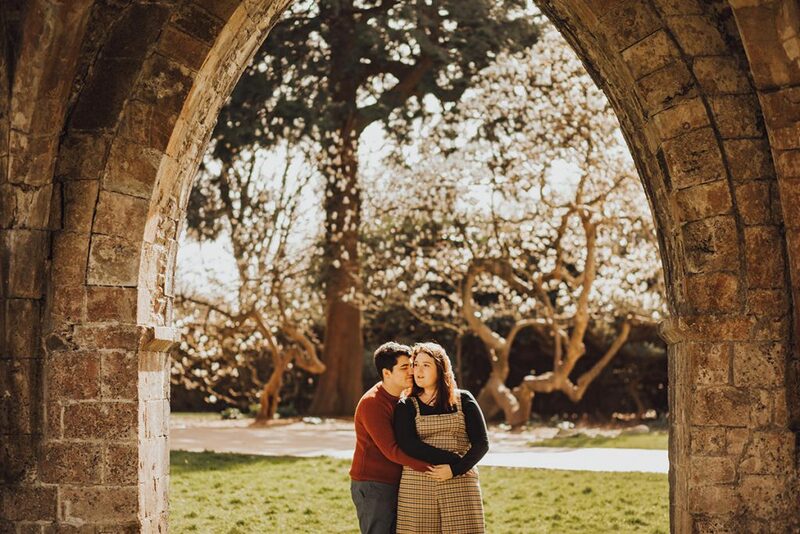 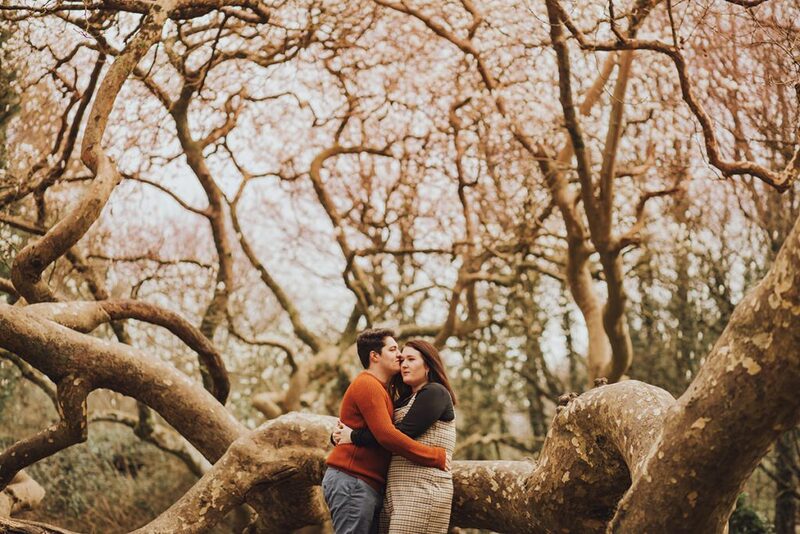 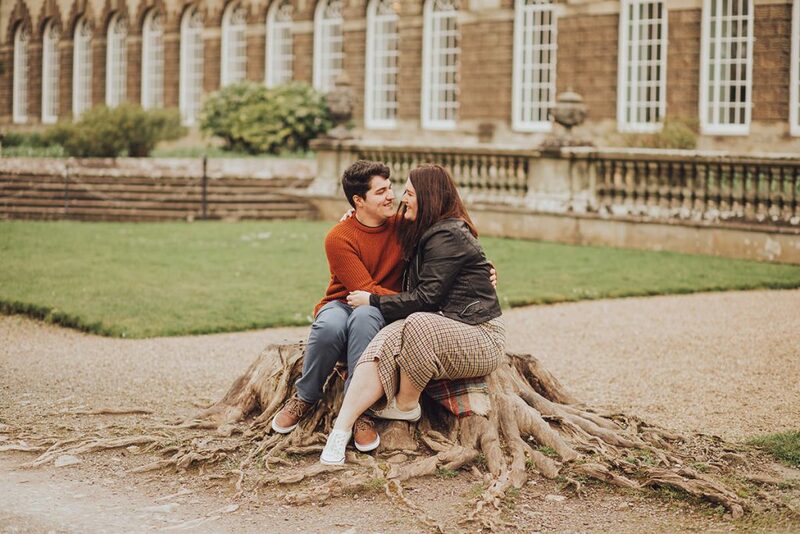 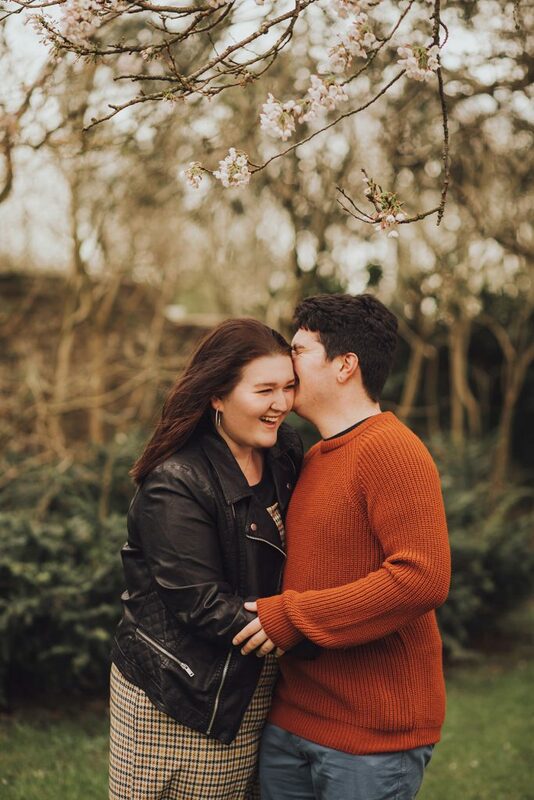 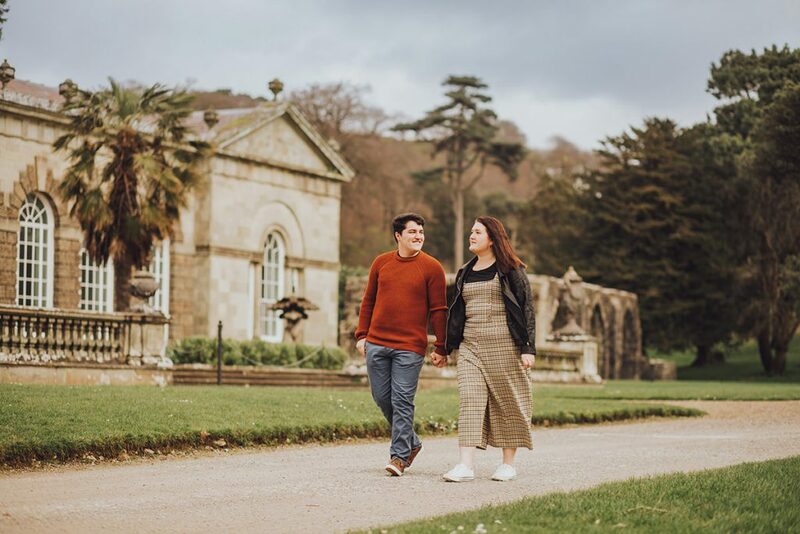 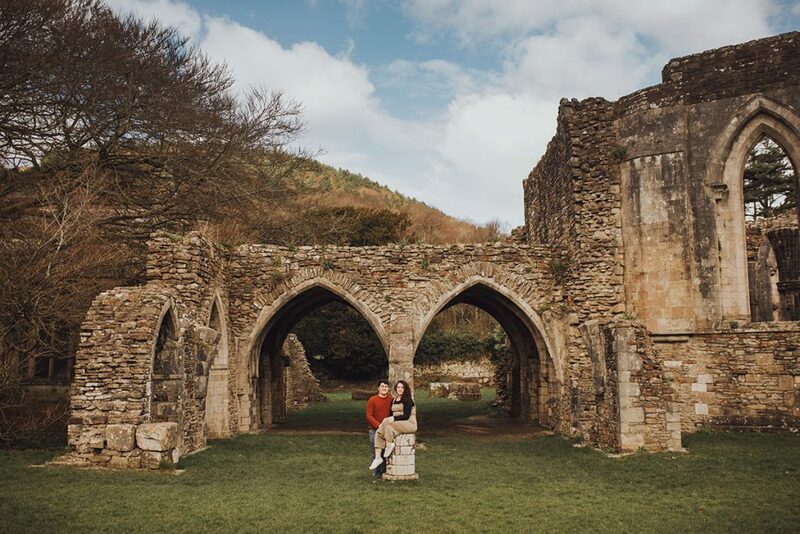 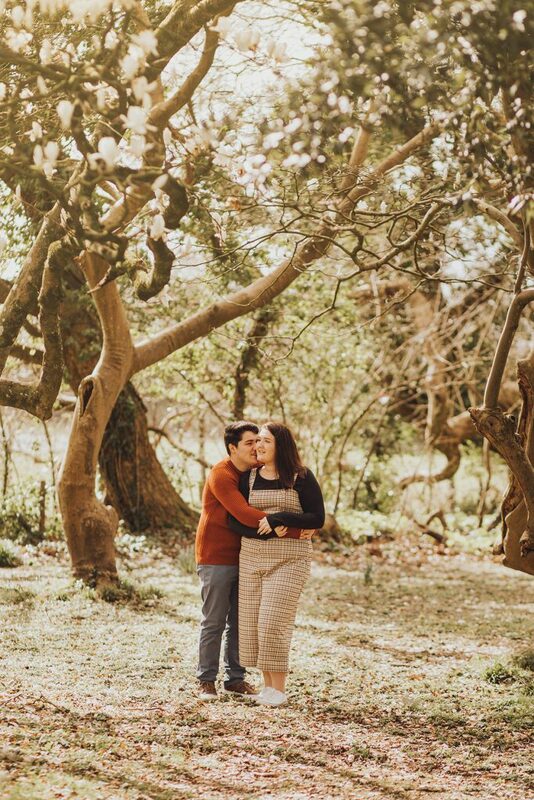 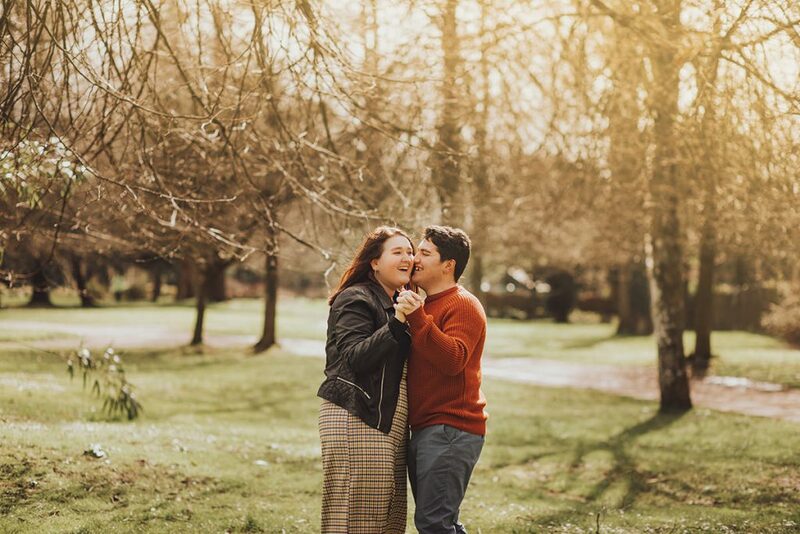 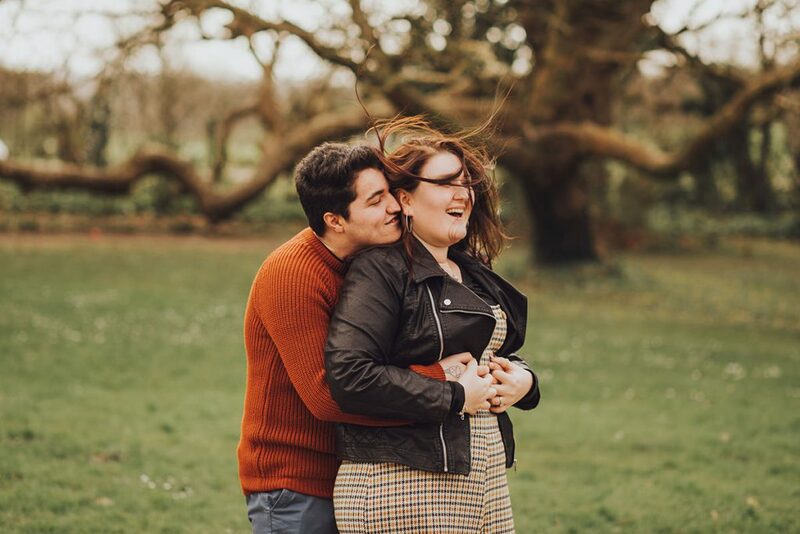 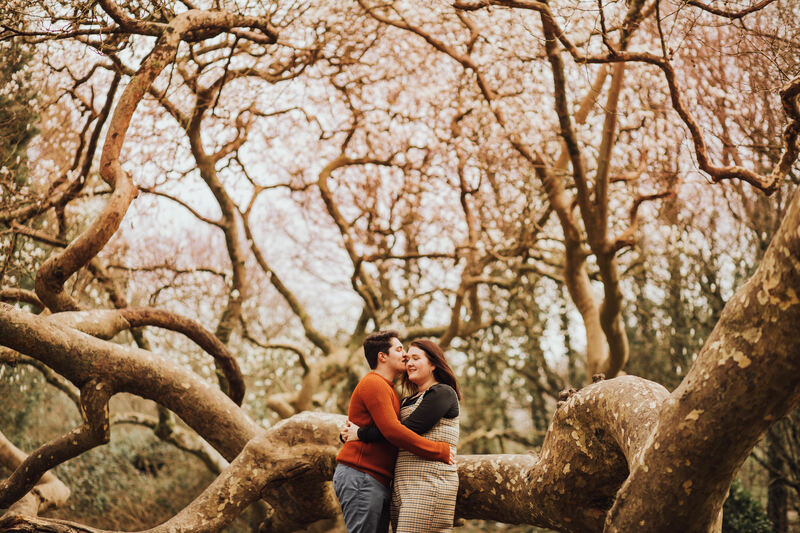 I had the best time exploring the grounds at this Margam Park engagement session! 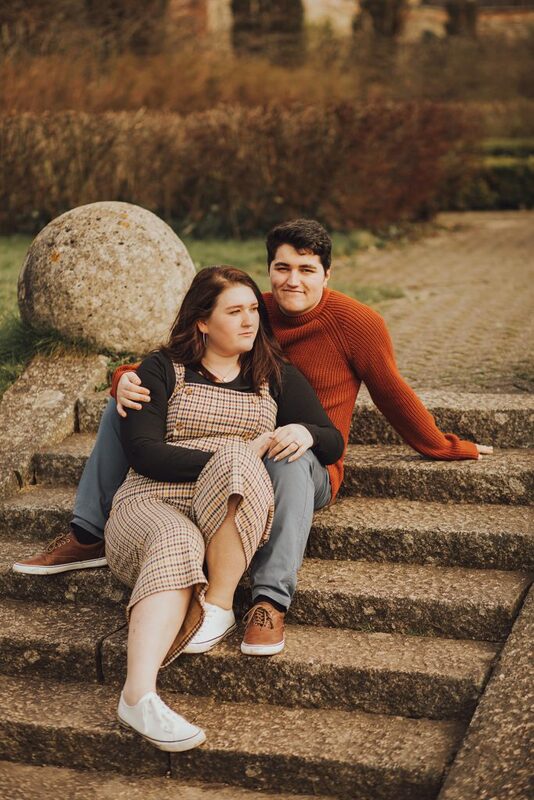 I first met Stacey and Harry in July 2017 at Stacey’s brothers wedding where Stacey was a beautiful bridesmaid. 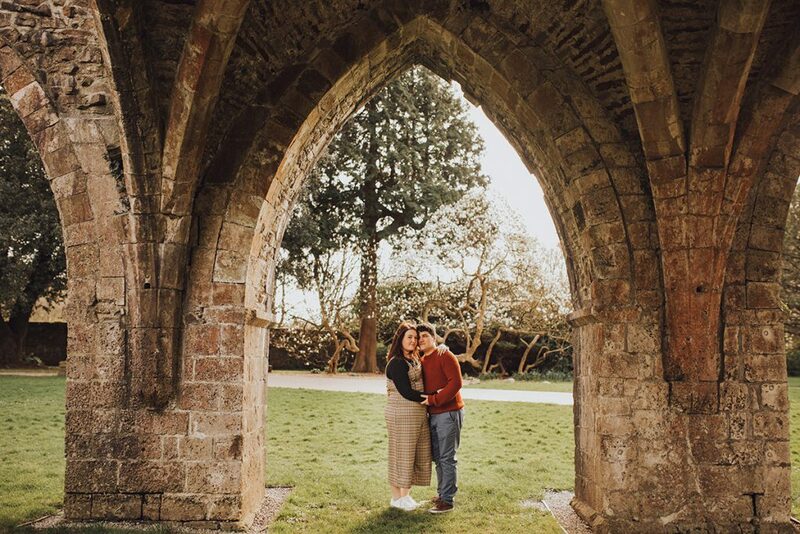 When I heard from Stacey that she wanted wanted me to photograph their wedding too, I was over the moon! 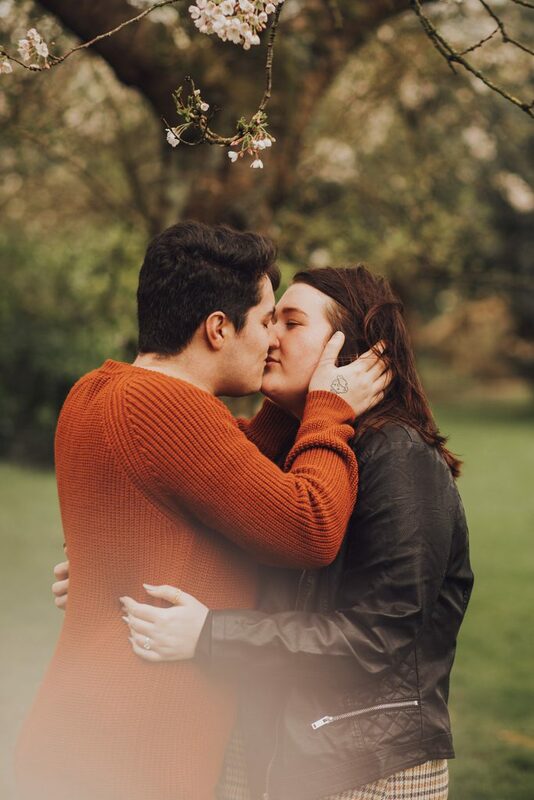 I feel like I know these guys so well and every time we meet up we have the most fun, it’s just like hanging out with good friends. 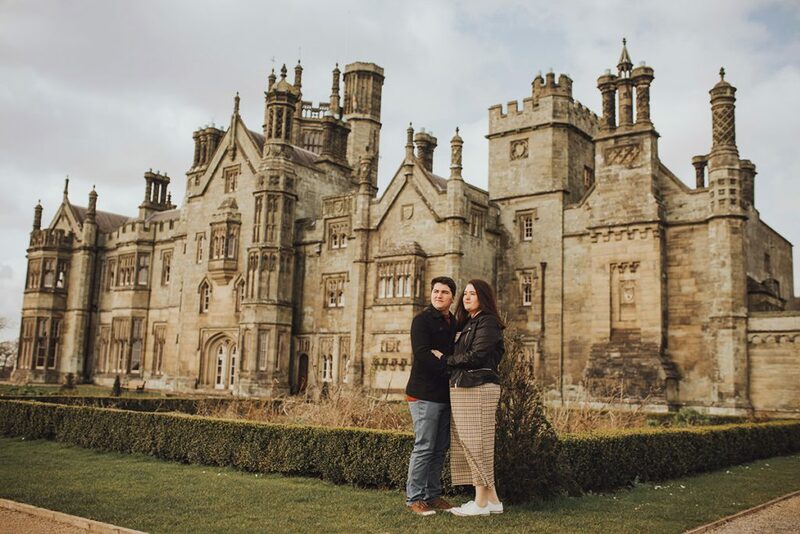 We chose Margam Park as it was a place neither of us had been before but it looked amazing. 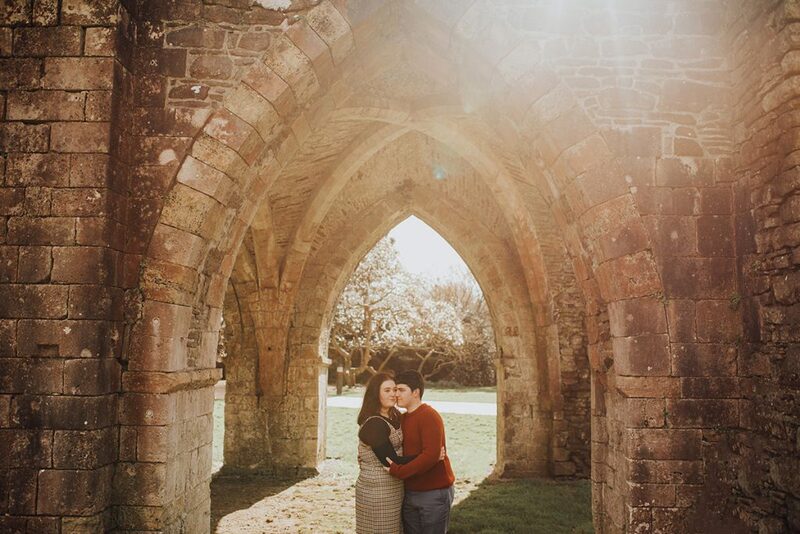 The weather was on our side with the gorgeous sunshine coming out even if it was extremely windy at times! 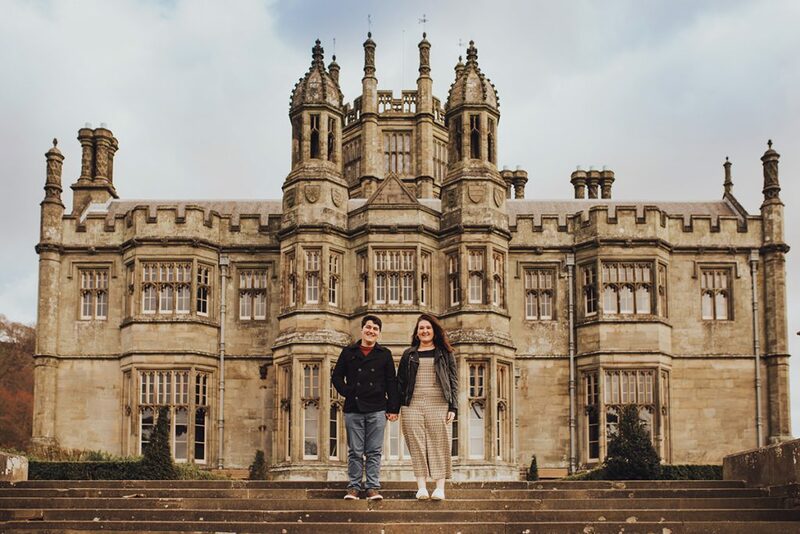 We explored the grounds including blossom trees, manicured gardens, abbey ruins and even Margam Castle on top of the hill. 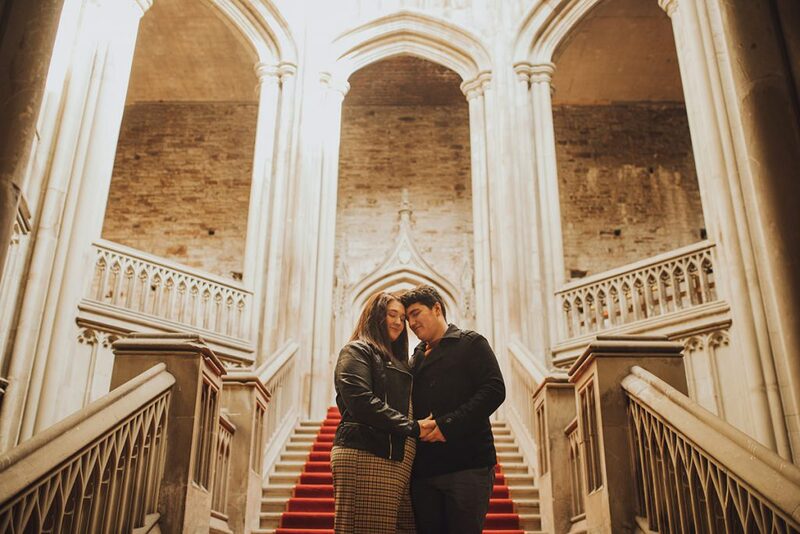 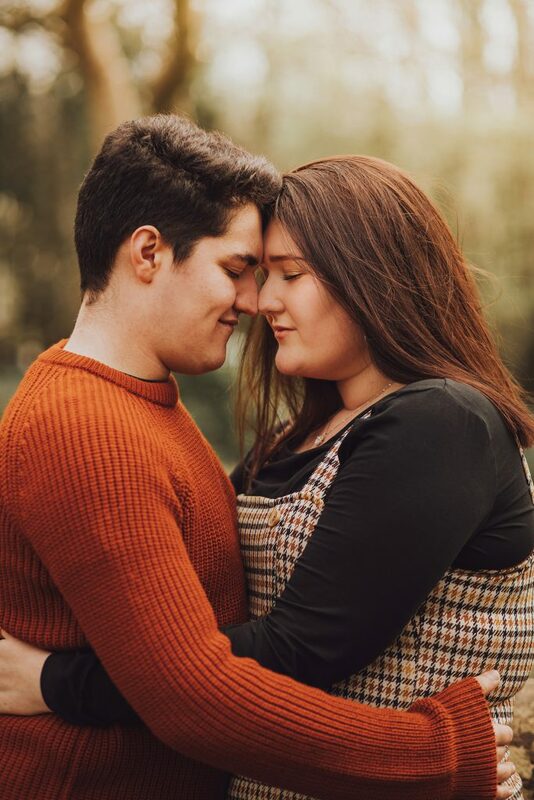 Such a fantastic Margam Park engagement session. 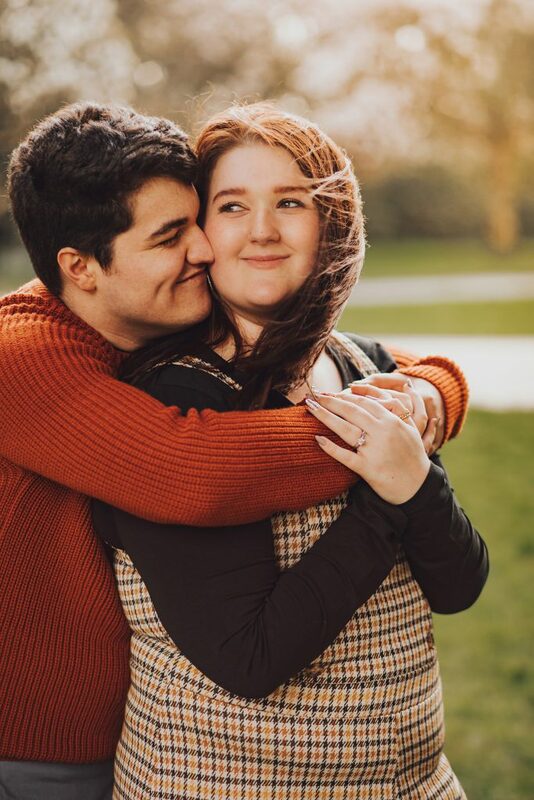 I am so excited for their wedding at the end of next month!